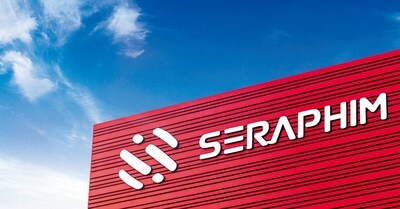 CHANGZHOU, China, March 12, 2019 /PRNewswire/ — Jiangsu Seraphim Solar System Co., Ltd. (Seraphim) announced that it recently set up a new plant in northern China’s Shanxi province to mainly produce high-efficiency half-cell modules. The new plant, set up jointly with Shanxi Lu’An Photovoltaics Technology Co. Ltd., will use leading-edge factory machinery to manufacture one gigawatt of ultra-efficient modules annually, including standard half-cell, dual-glass half-cell, and bifacial half-cell modules, according to Seraphim, a world-leading solar product manufacturer in China. “The partnership with Seraphim marks the cooperation between state-owned and private enterprises to link upstream and downstream supply chains,” said Deng Ming, chairman of Lu’An Photovoltaics Technology Co. Ltd., adding that he foresaw how the cooperation would help improve product performance, drive sales, and enhance competitiveness. Since its foundation in 2011, Seraphim has been specializing in research, development, production, innovation and sales of photovoltaic (PV) products. So far, more than 6GW Seraphim’s products have been installed in over 40 countries worldwide. Lu’An Photovoltaics Technology Co. Ltd., a subsidiary of the state-owned Lu’an Group, boasts 4.3GW PV integration production capacity.